There are many ways people handle the artificial construct we humans have created to organize ourselves—linear time. While the Great Kreskin bends spoons with his psychic powers, I bend time. I pack more into an hour than most people do in a day. Then there are laid-back types who would rather do as little as possible and put off until tomorrow anything that doesn’t have to be done today. On the opposite end of stretching every hour beyond its limit is psychiatrist Carl Jung’s principle of synchronicity or meaningful coincidence. Synchronicity has nothing to do with squeezing the last second out of each hour you are living, therefore exercising control over it. Synchronicity is being at the right place at the right time—ignoring linear time altogether and simply being present, living your life, and minding your own business. 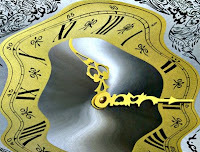 When we step out of linear time, we are in the realm of the gods and all the beings or forces that can create miracles. In order to bring you just the right “coincidence,” these “people” can’t be bothered with clocks and calendars. They’re too confining. ...and you guessed it. Today’s world demands that we learn to do both. You can say good-bye to time as we knew it. In the 1980s and ‘90s, we kept hearing about a paradigm shift, that time would accelerate. You’re not just imagining it, if you feel like you’re about to take the leap into warp speed and hyperspace. What in the world is going on? It’s something outer-planetary, but before we can make that jump to the trans-Saturnian planets, let’s start with Saturn itself, the ruler of earth, order, clocks—and endings. Traditionally, Saturn rules time. Culturally, we know Chronos (Saturn) as Father Time bringing out the old year. He is in charge of calendars, watches, and clock-watching. The image that leaps to mind for me is from the wonderful adult fairy tale The Little Prince by Antoine de Saint-Exupéry. In that book the Prince, a naive boy from asteroid B-612, is perplexed in his space travels by a planet full of accountants where all they do is live by the second hand of their stopwatches, obsessing over efficiencies, thinking all this is terribly important. (To the boy, who just doesn’t get it, things like love and friendship are what counts). The parody isn’t even thinly disguised. We know which planet he was on! One of the most brilliant and mind-boggling book I have ever read is Barbara Hand Clow’s, Chiron: Rainbow Bridge Between the Inner and Outer Planets. If Chiron is the bridge between Saturn (time) and what’s beyond it, we need to know Chiron’s relationship to time itself in order to understand what’s going on with this speed-up we have begun to experience since Chiron’s discovery in 1977. “Chiron...explicitly focuses into Saturnian time higher dimensions ruled by Uranus, Neptune, and Pluto,”  according to Barbara Clow. Further, she introduces the concept of Chirotic time—being out of linear time—and states that Chiron rules synchronicity. In other words, to bring multi-dimensional consciousness down to earth—channeling, cosmic advice and direction, inspiration from beyond the limits of our own minds—we must be run (not walk!) out of time. We have to slip between the cracks of the clock. We are running out of time. In 1995, theologian and cosmologist Matthew Fox said scientists calculated that “our ecological crisis will be irreversible if we don’t change the down-spiraling pattern within the next 16 years.”  Timing is scary stuff. When asked how we can circumvent global disaster, Fox said the shortcut to healing the Earth is through ritual. The shortcut to healing the Earth is through ritual. This is how we must learn to live in order to survive—and to have a future. Now I am going to use another”c” word (besides clocks and calendars) that makes some people cringe—and that’s channeling. If you think people are hokey who bring in entities from the beyond, I invite you to retain your skepticism, while at the same time, opening your mind to the concept that there’s more than one style of channeling. In the movie, Oh God!, George Burns as the Divine One says, “I don’t do miracles. They’re too flashy.” Professional channelers may be too flashy for you, and as Gertrude Stein said, “Style is everything.” Beyond making divine direction too “Hollywood,” anyone can have a personal link to All That Is, or any particular part of It, including your own Higher Self. Channeling has nothing to do with drawing crowds. That’s simply one style of delivery. Saturn, which rules time and everything to do with it, is the planet of control. To bring in information—to channel it—requires surrender and a very open mind. Same goes for bringing in meaningful coincidences and experiences (synchronicity). Some people learn to do this for 20-30 minutes at a time in meditation, or perhaps create an altered state of consciousness while running; however, what I am talking about (here’s your Future Shock) is living in this consciousness most of the time. I do not advocate throwing out Saturn and all our timepieces, right this minute, in favor of something totally new. Chiron rules evolution—organic change that happens a step at a time. As the leading planet in Time Evolution, Chiron is the bridge between Old (Saturn) and New (Uranus), between that which is stuck and unchanging and that which is revolutionary. Chiron’s role, in time and all things, is to help us synthesize the opposites within us. Barbara Hand Clow connects Chiron with the point in the brain where both sides merge—the corpus collosum. In that physiological midpoint, we weave the countless polarities within us: masculine/feminine, light/dark, old/new, and time/timelessness. Going from the personal to the planetary, perhaps you remember talk, around the Harmonic Convergence, that from that day forward, time would speed up. José Argüelles is the Father of the Harmonic Convergence, where people did exactly what Matthew Fox prescribes—ceremonies at sacred sites to heal the earth. Argüelles described the August 1987 event as the “corpus collosum of history,” leading us to “the Armageddon Bypass.” If we’re lucky, the Chirotic chain reaction set up at those sites is like a time-release capsule of light that will cause a continuous chain reaction of healing. It started in time, but the effect is not linear at all. It went way beyond what happened that weekend, maybe even this lifetime. For over a decade, Saturn and Chiron opposed each other in the sky as a prelude to Chiron’s perihelion on Valentine’s Day 1996. This pair of phenomena—the Saturn/Chiron opposition and Chiron’s pass closest to earth—brought time down to earth in a whole new way. Time and Timelessness danced, each stretching itself to its farthest point on the continuum away from the other. We found ourselves living in a new world where time was concerned. The Internet was starting to catch on. One month, a few cutting-edge friends had e-mail, and within a few mere months, “being online” caught on like wildfire. Saturn/Chiron Opposition: Time and Timelessness danced, each stretching itself to its farthest point on the continuum away from the other. For a second time in recent history, Saturn opposed Chiron in 2003-04. By then the technological and resultant time changes that had begun in the mid-‘90s had quickened in more ways than one. The Speed-Up had become both the upside and the downside of the Communications Revolution. The better the tools, the more messages waiting, the more work we get done—the more work we make, because we have time for it. Feel like your head is going to burst? If we don’t learn to get off the linear time merry-go-round and regain respect for life and its seasons, including a lot more downtime, we’re going to have a collective nervous breakdown. What we need to do is shrink our workweek and realize that there’s only so much any one person should do in a given time span, and that replenishment keeps workers fresh and creative, and their lives in balance. The prescription was in the sky as these changes went from breakthrough to commonplace (Saturn opposite Chiron). We, too, need to learn to do the dance between Time and Timelessness. On the practical level, we would virtually solve our unemployment problems in the US if everyone worked four instead of five days a week. It would take some adjustments and re-evaluation of priorities to live on 80 percent of our salaries, but with the 20 percent leftover, there would be money to hire those out of work. The financial loss is really a myth. Calculate your costs to go to work each day, along with the money you could save with the extra eight hours—clipping coupons, calling around for the best price before your chronic time crunch causes you to buy things quickly, for convenience. You’d have more time to cook instead of that expensive habit, eating out. What if we each spent that day in nature? Playing? Imagine the clear-headedness you’d get by stepping off the treadmill and being close to the Earth, and the new respect you’d gain for Her and knowledge about how to do your part to ensure the “Armageddon Bypass.” (Think of the new and improved decisions you’d make, relinquishing the spur of the moment.) Our Protestant work ethic is responsible for the sad fact that Americans take fewer days off than virtually any other civilized country. If you are dying for a vacation, you’re probably right (the health implications of what we are doing to ourselves are frightening. Just think of the thing we have too many of and what’s the root of the word deadlines). Argüelles says, “Timelessness is all there is. It’s what we mean by the ever present here and now.”  He took his campaign to the UN to convert the world to the new calendar on its 50-year anniversary of the world peacekeeping organization—on the UN’s first Chiron Return. Not only is that timing synchronistic, but just about the time Chiron (timelessness), finished its long opposition with Saturn (time), Argüelles and his supporters were burning their calendars in a commitment to moving into the new time consciousness. In the Mayan prophecies, July 25, 1995, began a new holtun. A holtun is a 5-year cycle in which a planetary shift is expected to take place. He considered events around that time—Waco, Oklahoma City, the OJ trial, and the war in Bosnia--all to be the products of a techno reality where machines run rampant, wars continue, and we have a complete inability to control them. From his viewpoint, he Gregorian calendar promotes a mechanical, false time that is killing us. I feel evolutionary change ahead of many others, where I live (and lately in the pit of my stomach as my stress level rises from “too much to do” and playing Beat the Clock around the clock). In Sedona, Arizona, where I spent many a Solar Return, Chirotic time is the normal state. In Rainbow Bridge, Barbara Clow connects Chiron with spiraling energy, so perhaps the well-known vortexes of invisible swirling energy (that put Sedona on the map) make it so Chirotic—so timeless. I bend time there better than any place I go. A day seems like a week. Author’s Update: Since writing the original version of this article in 1996, I have retired from my long government career. I sleep until I wake up most days, and I have reduced my watch wearing habit by at least 50 percent. Someone also wrote a book that makes a great PS to this article in its title, Eckhart Tolle’s The Power of Now. Clow, Barbara Hand. Chiron: Rainbow Bridge Between the Inner and Outer Planets (Llewellyn: 1987). “Reinventing Work,” lecture by Matthew Fox, July 1995 in Sacramento, Calif., sponsored by Evolving Times. Brooks, Chris. Midpoint Keys to Chiron (AFA: 1992), p. 5-6. “The Return to Natural Time,” an interview with Dr. José and Lloydine Argüelles, The Planetary Wavespell newsletter, Vol. 1, No. 1 (Electric Moon 1995), pp 1-3. For information on ordering Dreamspell calendars visit http://www.13moon.com/. Photo Credits (top): Twisted time © photobar - Fotolia.com; “How’s Your Relationship with Time?,” Soul Collage card created by Joyce, called Blind Trust.